When rain has fallen in New England this year, it has not come quietly or left quickly. 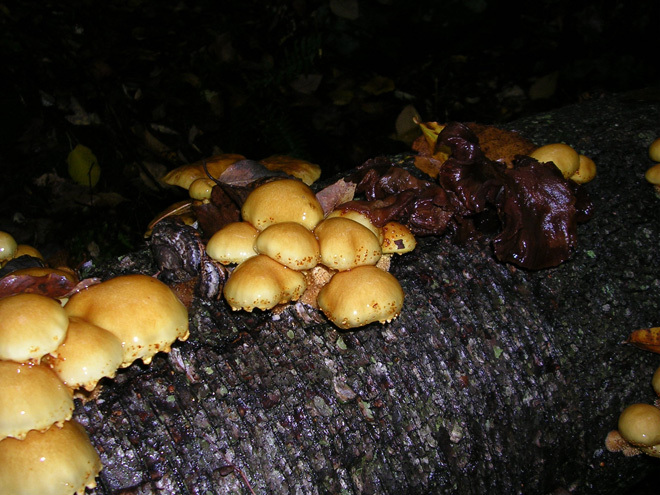 The resulting dampness has produced a remarkable display of mushrooms and other fungi everywhere you go. 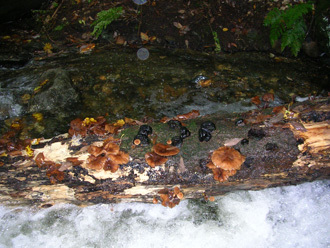 The woods, usually dry and brown and beginning to brighten now with autumn foliage, are wet, dank, and a tropical display of color and shapes. On a recent walk in the Enfield Wildlife Management Area, with the earthy smells of mud and decay, the new growth of mushrooms and other fungi flourishes on the forest floor. 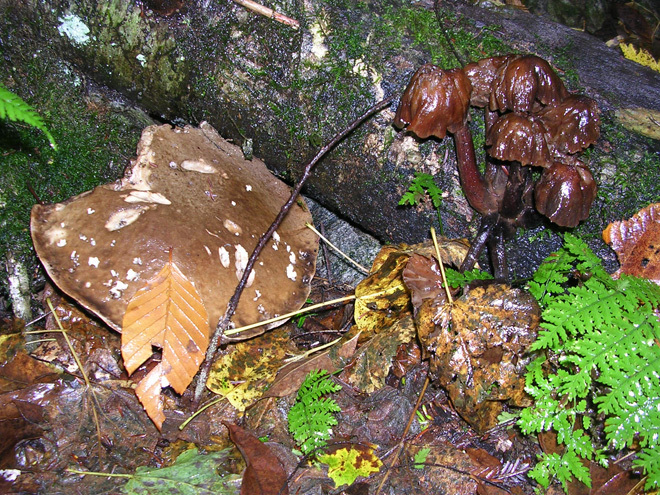 They bloom on the dead fallen logs, the ground, and, in this damp climate, even on live trees. Fungi hobbyists share their identifying techniques and offer suggestions for what to look for. 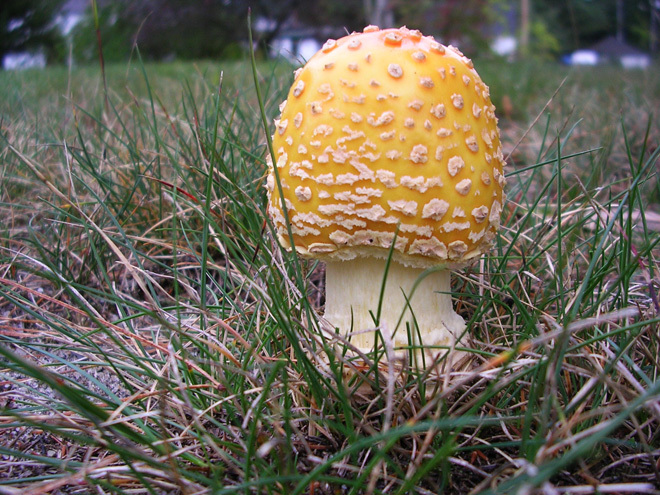 While a yellow Amanita is beautiful to look at, it will affect your liver and kidneys if ingested. I watched one grow in my yard, doubling in size in twenty-four hours, with wonder and caution. 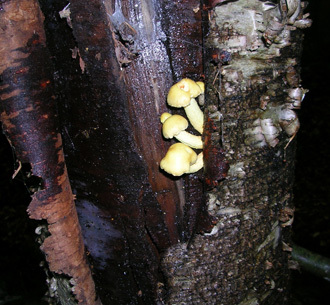 For safety sake, only an expert can identify a wild-growing mushroom which is safe to eat, so no identifications given here should be taken as fact. 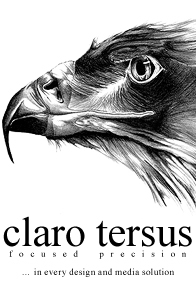 Even a respected field guide should not take the place of education. 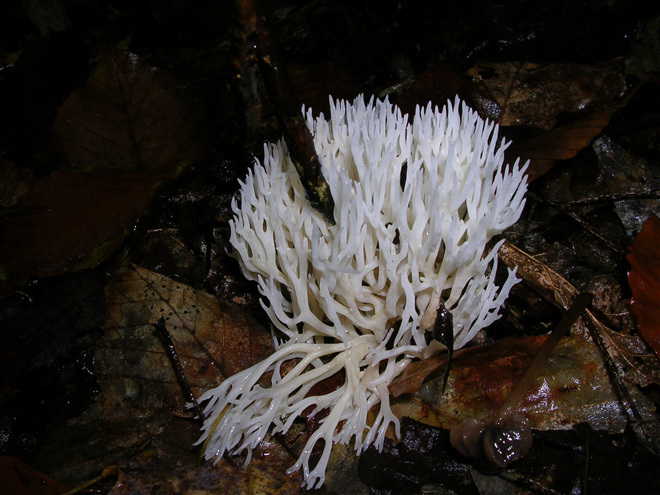 The multitude of possible types of fungus can cause fatal misidentification, but viewing the colorful and exotic growth is harmless and fascinating. 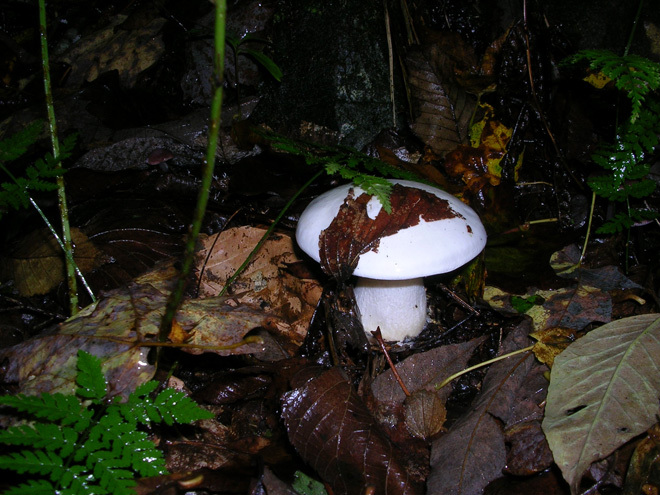 With identification names like Death Cup, Stinkhorn and Destroying Angel, the labels quell the appetite anyway. The State of New Hampshire has seen a marked rise in Emergency Room visits this year due to possible mushroom poisoning. 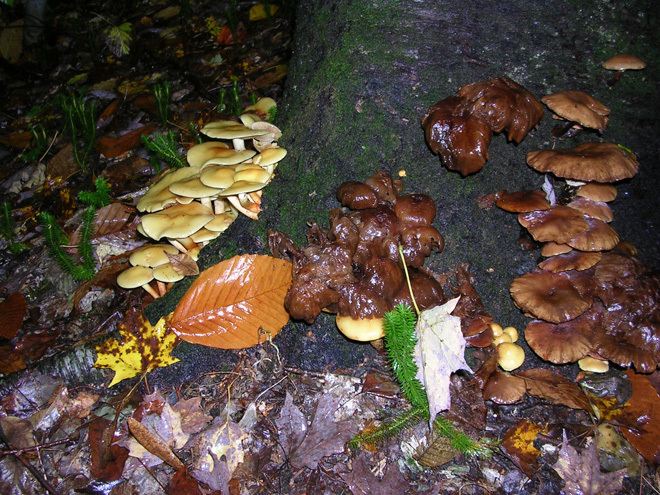 The dampness brings plentiful fungi, offering more opportunity for error. Fungi spores are everywhere and thrive in moisture, so this summer has been perfect for their growth. 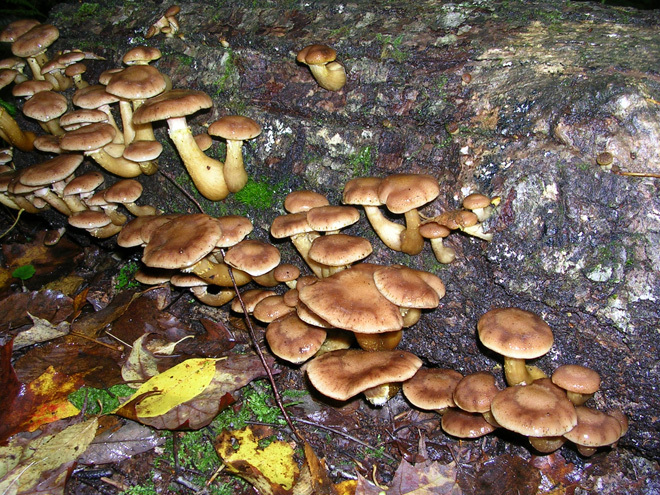 While you may find that the mushrooms growing in your lawn are less than ideal, especially when you may step on them with bare feet, the forest display resembles a coral reef in color richness and diversity. 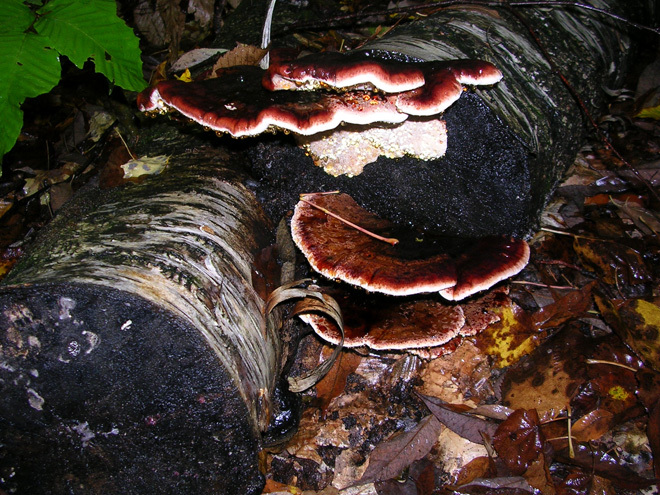 Throughout history, people have used mushrooms and other fungi as food, medicine (healing as well as psychotropic), and as pigment for dyeing fibers. In the forest now, we can add its use as scenery. 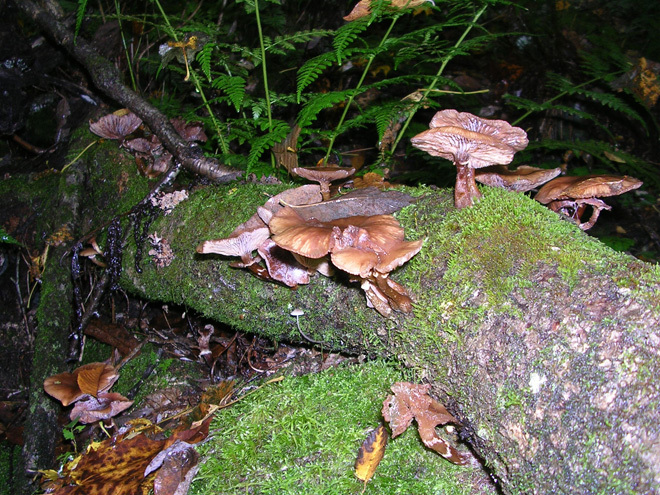 Mushrooms grow from spores left behind or blown around when the climate is dry. Because these spores are small, plentiful and can wait patiently for moisture, a wet summer and fall can allow multitudes of fungi to burst into bloom. 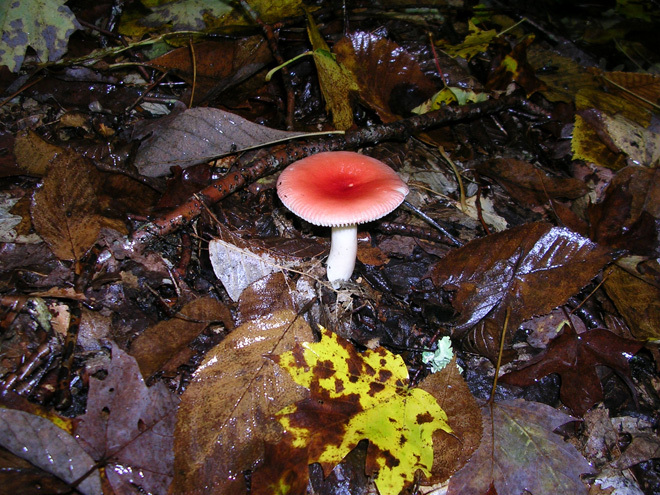 Take a walk in the forest near you and see if the fungi have come to visit. As always, pack in, pack out.